THIS FRIDAY NIGHT @ BAR SOMA! RBMA APPLICATIONS OPEN UNTIL 26th APRIL! APPLY NOW! Aside from being some of the most highly regarded new-breed musicians, producers, vocalists and DJs, what do Aloe Blacc, Andreya Triana, Dorian Concept, Flying Lotus, Hudson Mohawke, Poirier and Buraka Son Sistema’s Lil John have in common? They were all students at the Red Bull Music Academy (RBMA) – the internationally recognised breeding ground and meeting point for the vanguard of electronic music. Continuing their long held tradition of accelerating underground music culture, this year’s academy will be held in Tokyo, Japan in August. To celebrate this occasion, RBMA is once again bringing a piece of itself to Brisbane’s doorstep with a night of boundary-blurring live soul music. Maintaining the quality from last year’s RBMA show featuring Tokimonsta, Illum Sphere and Martyn, this year’s event will feature ARIA nominated artists Space Invadas and nu-school vocalist, lyricist and beat maker, Pursuit Grooves (NYC) on Friday April 8th at Bar Soma in the Fortitude Valley. Space Invadas is a collaboration between producer/DJ Katalyst and singer/producer Steve Spacek and has resulted in the critically acclaimed 2010 album “Soul-Fi”. Space Invada’s live format is a 5-piece band featuring bass, drums, guitar, samplers and electronics with Steve on vocals, harkening back to legendary soul outfits with a modern twist. Steve Spacek (aka Steve White) who originates from London and now based in Sydney, earned his stripes in his first group “Spacek” in 1996 and since then his heartfelt falsetto and electronic broken-beats, have become an institution of the underground. Steve has worked with J Dilla on the seminal track “Dollar”, as well as Mos Def, Slum Village and Common, while being hailed by critics and other artists as Curtis Mayfield or Marvin Gaye reincarnated. Katalyst (aka Ashley Anderson) is a prolific Sydney based DJ/producer known for transforming rare funk and soul into his own dance-floor hip-hop based compositions. The dense mood and soul of his 2002 ARIA nominated debut album Manipulating Agent was a landmark for Australian hip-hop and raised the bar for those who came after. 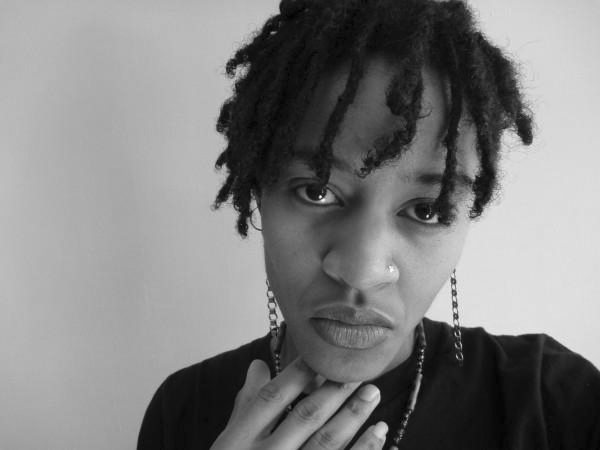 Vanese Smith aka Pursuit Grooves is an electronic music producer, vocalist and live performance artist living in Brooklyn, New York and was a participant in the 2008 Redbull Music Academy in Barcelona, Spain. Her latest album, “Fox Trot Mannerisms” was released on the reputable Bristol Bass label, Tectonic and has been hailed by BBC radio’s Giles Petersen as one of the best albums of 2010. Pursuit Grooves brings her bass heavy future-funk to life using samplers, drum machines, keyboards and of course the microphone. 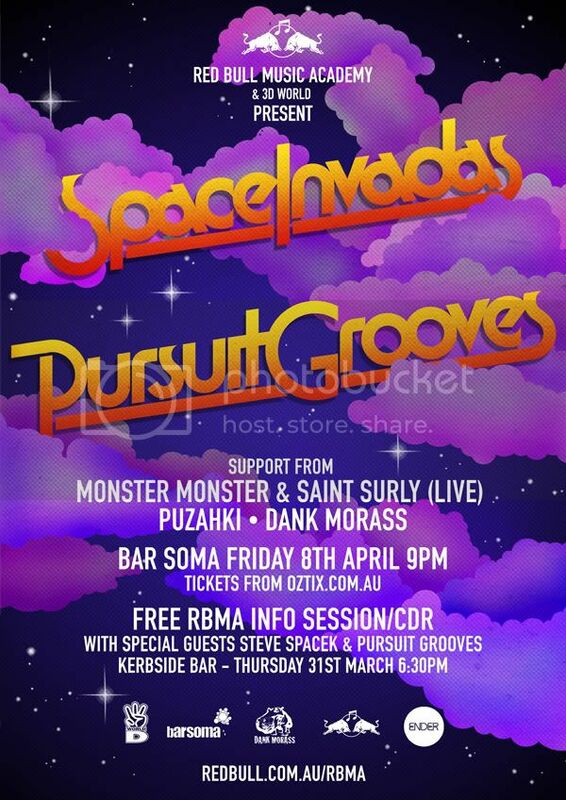 In support, local dons Monster Monster and Saint Surly will mash out their own raw hip hop productions live as well as original heavy weight bass-hop productions from Puzahki, representing the Brisbane label, Ender Records. Local stalwarts Dank Morass will also be holding down DJing duties with their selections of cutting edge soul. 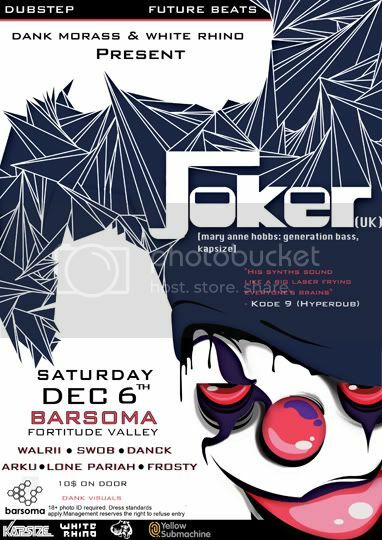 Joker’s wax releases have been some of the most sought after in dubstep, from the mind-bending Gully Brook Lane through to his recent collaboration with Rustie, “Play Doe”, which sold out within moments of becoming available. He’s been given props by everyone from Pinch to N-Type, and his self-described ‘jheri-curl boogie’ fuses the propulsive energy of grime, ecstatically sleazy synths and serious bass pressure. Support from Frosty (Hard Graft), Walrii, Swob, Arku, Lone Pariah and Danck. $10 on the door from 9pm, with dank visuals for your optical delectation. 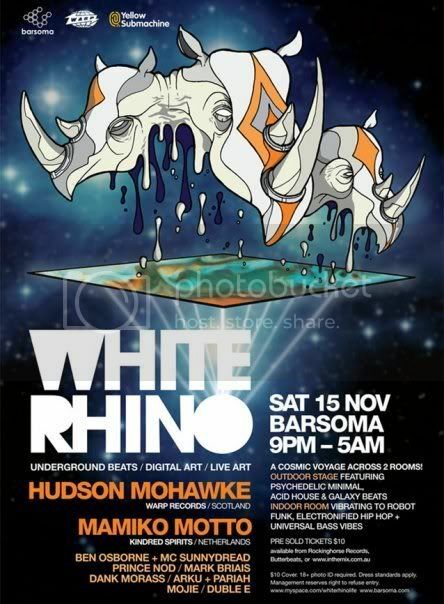 The Morass is ecstatic to be involved in the debut Australian tour for Glaswegian production wunderkind Hudson Mohawke.